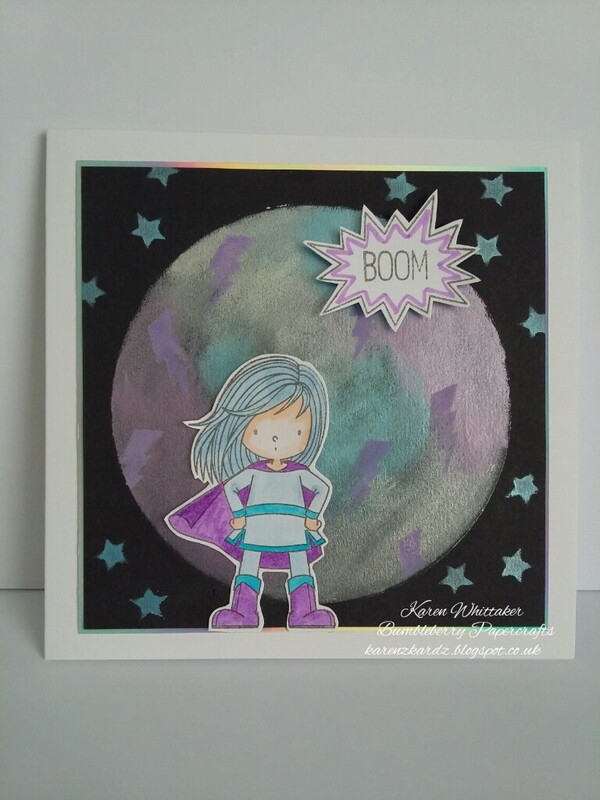 A fun card for a youngster. Nice choice of colours. This is beautiful Karen, love the cute image. I hope you had a wonderful weekend. What a cute image - and you've shown it off beautifully! Fabulous card, cute image and super background.